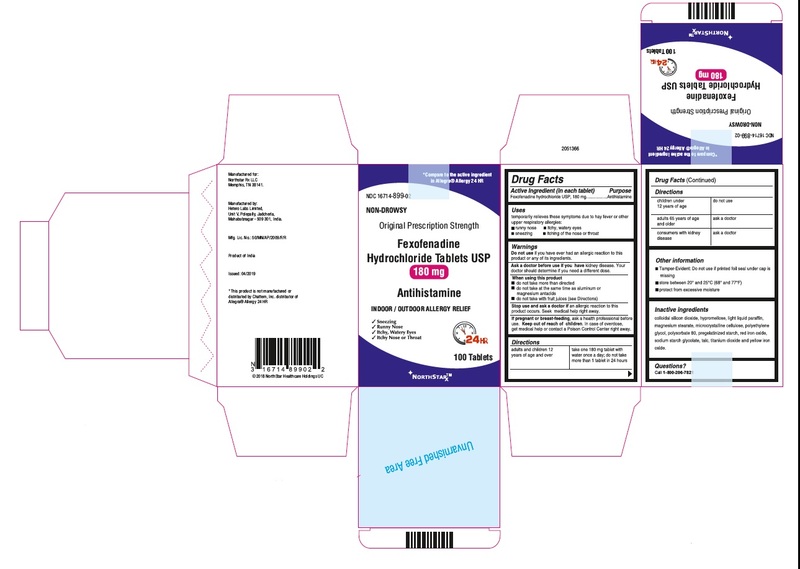 Proprietary Name: Fexofenadine Hcl What is the Proprietary Name? 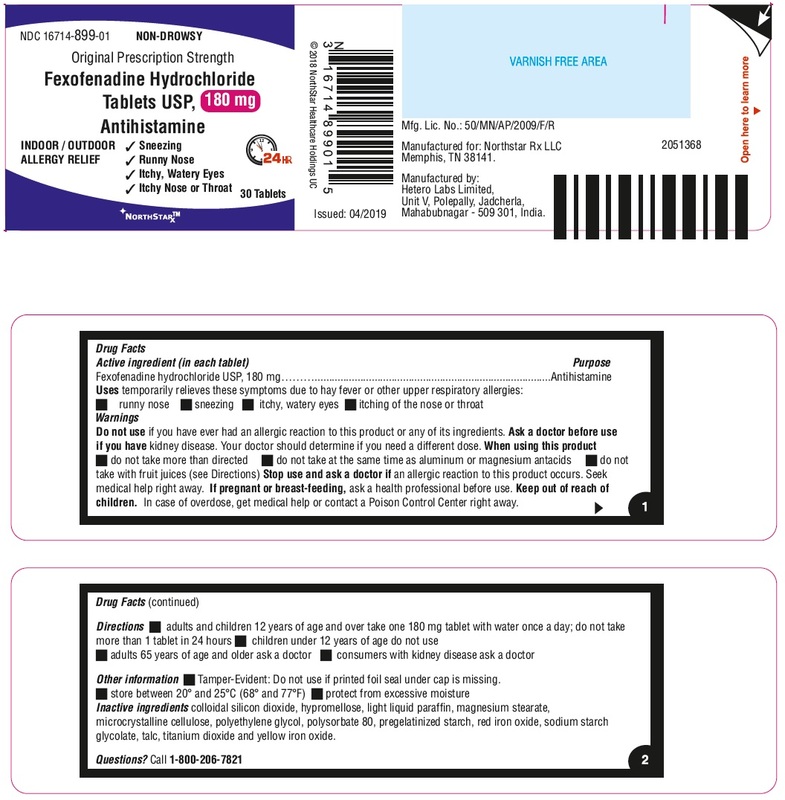 Non-Proprietary Name: Fexofenadine Hcl What is the Non-Proprietary Name? 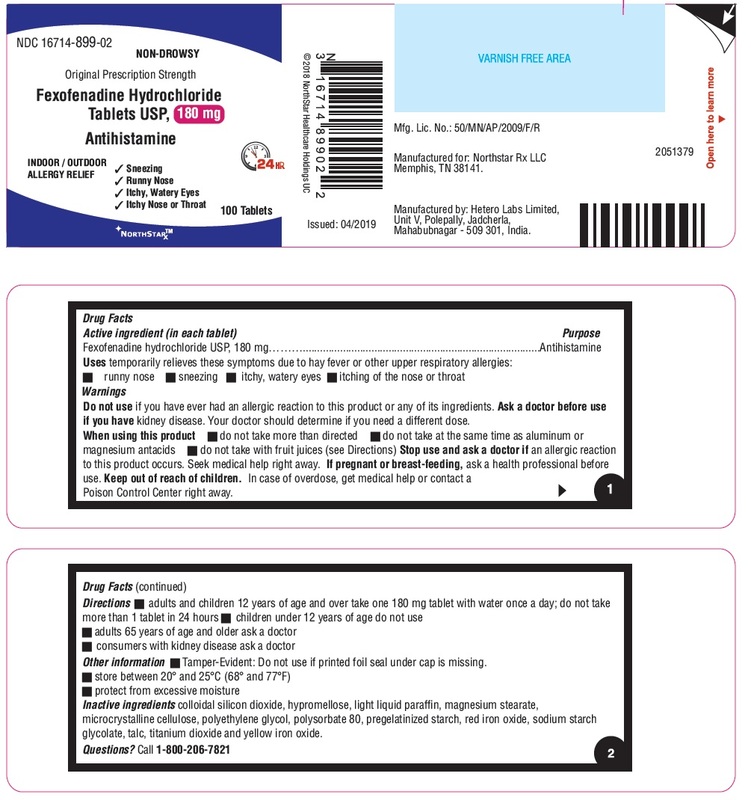 Fexofenadine Hcl with NDC 16714-899 is a a human over the counter drug product labeled by Northstar Rxllc. The generic name of Fexofenadine Hcl is fexofenadine hcl. The product's dosage form is tablet and is administered via oral form. FDA Application Number: ANDA204097 What is the FDA Application Number? You have kidney disease. Your doctor should determine if you need a different dose. An allergic reaction to this product occurs. Seek medical help right away.If pregnant or breast-feeding, ask a health professional before use. Colloidal silicon dioxide, hypromellose, light liquid paraffin, magnesium stearate, microcrystalline cellulose, polyethylene glycol, polysorbate 80, pregelatinized starch, red iron oxide, sodium starch glycolate, talc, titanium dioxide and yellow iron oxide.